Last week the Norwegian Crown Prince visited Lockheed Martin’s Ft Worth facility as part of an effort to promote Norwegian industry within the JSF-program. 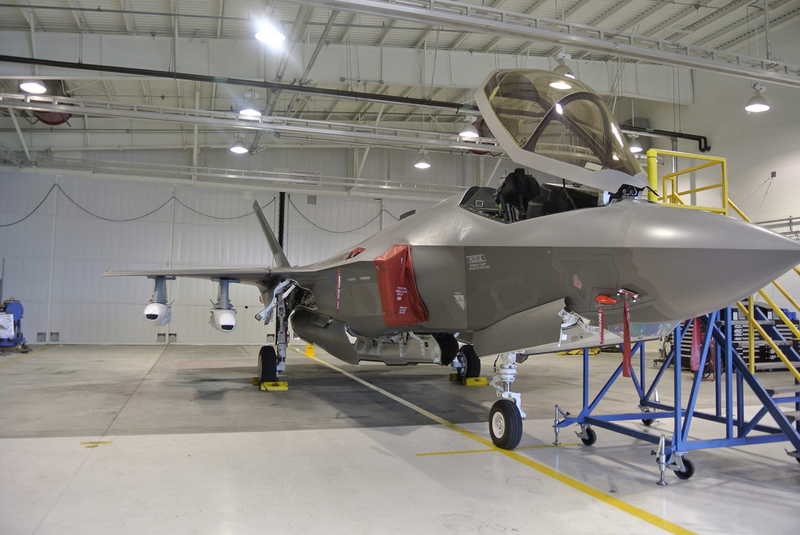 As part of the visit, LM fitted an F-35A with two externally mounted development models of the Joint Strike Missile. Unveiled on Nov. 29, 2012, the Joint Strike Missile (JSM) developed for the F-35 by the Norwegian company Kongsberg and the Norwegian Ministry of Defence, is the only powered anti-ship missile that can fit inside the F-35’s weapons bays.